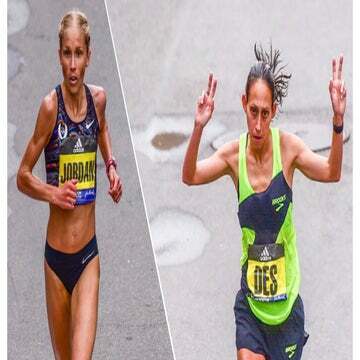 10 quick facts about Desiree Linden, the first American woman to win the Boston Marathon in 33 years. After running the Boston Marathon six times, Desiree Linden finally came out on top with a 2:39:54 win in the 2018 race. Battling through a frigid, 37-degree start, heavy rain and strong headwinds, Linden hung with the pack until the final miles approaching Heartbreak Hill, where she pulled away, coming in four minutes ahead of the second-place finisher. Here are 10 things to know about Linden’s career and her life outside of running. 1. 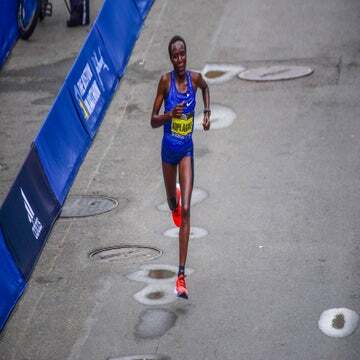 Linden is the first female American to win the Boston Marathon in 33 years. American Lisa Larsen Weidenbach won Boston with a 2:34:06 time in 1985 before Linden brought America back to the top at the 2018 Boston Marathon. 2. She actually waited for Shalane Flanagan to use the bathroom during the race. The pair had stuck together through the early miles, and when Flanagan had to make a 13-second pit stop about halfway through, Linden stayed right by her side. They helped each other catch back up to the pack, and it wasn’t until the Newton Hills that Linden made her break. Flanagan finished in a respectable seventh place, 6:37 behind her. 3. Linden placed second in the 2011 Boston Marathon. This wasn’t Linden’s first time on the Boston podium—she crossed the finish line with a time of 2:22:38 in 2011, just two seconds behind the winner, Caroline Kilel of Kenya. 4. She came in fourth in the Boston Marathon, twice. Falling heart-wrenchingly short of a spot on the podium, Linden ended the 2015 Boston Marathon in 2:25:39 and 2017 in 2:25:06, both in fourth place. 5. She fractured her femur leading up to the 2012 London Olympics. Linden had to pull out from the 2012 London Olympic Marathon due to hip pain, which was later diagnosed as a stress fracture in her femoral shaft. After healing, she geared up for the 2016 Rio De Janeiro Olympics and qualified, finishing in a strong seventh place. 6. Her athletic success started in high school. Linden played soccer and ran both track and cross country at Hilltop High School in Chula Vista, Calif. She ran a sub-5-minute mile her freshman year and went on to be a finalist in the CIF California State Meet all four years. After graduation, she attended Arizona State University, where she became a two-time All-American in track and cross country. 7. She’s faster than her husband. In the 2010 Chicago Marathon, Linden’s husband Ryan finished at 2:26:21, just one second behind Linden’s finish-time of 2:26:20. They didn’t run the race together but spent a lot of time training together beforehand. 8. She’s a business owner. Well, co-owner. She and her husband recently started a small-batch coffee company called Linden & True with fellow professional athletes Ben and Sarah True. 9. She also collects whiskey. With all of the world travel involved in elite running, Linden has been able to find some pretty unique whiskeys around the globe. According to Outside Online, she considers herself a “bourbon geek” and so far has collected around 30 bottles. 10. Her dog’s name is Boston. 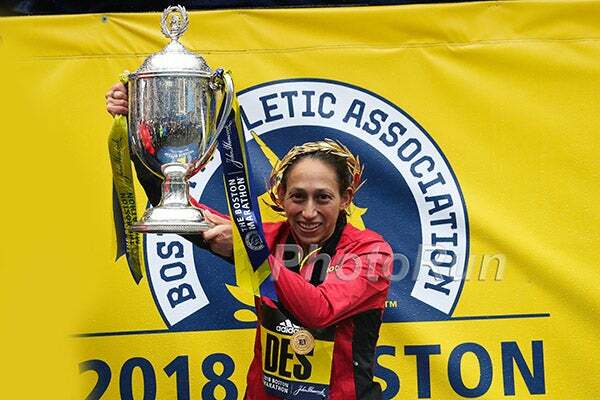 Race Recap: Des Linden Wins Windy, Rainy Boston Marathon On Big Day For U.S.